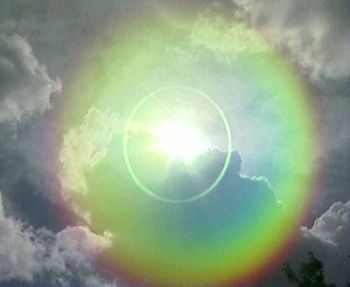 Ultraviolet (UV) radiation is a form of light. The spectrum of colors that allow us to see things is actually dependent upon how long or short a wave length the light for that color is. The shorter the length, the bluer the color, with violet being the shortest color that humans can see. Hence the name “ultraviolet” when referring to light that we can’t perceive with our eyes. We are able to sense UV rays in other forms though, such as heat and also the effects that it can leave us with such as a burn. UV radiation is an electromagnetic wave which is shorter than visible light but longer than an X-ray wave. It’s amazing to me how powerful something that we can’t see really is! Did you know that the government actually forecasts the UV intensity like a regular weather forecast? Knowing the UV intensity of the area you live in on a particular day can help you decide how much protection you’ll need from the sun. The following gadget and information can be found at http://www.epa.gov/. Take precautions if you will be outside, such as wearing a hat and sunglasses and using sunscreen SPF 15+. Reduce your exposure to the sun’s most intense UV radiation by seeking shade during midday hours. Protection against sun damage is needed. Wear a wide-brimmed hat and sunglasses, use sunscreen SPF 15+ and wear a long-sleeved shirt and pants when practical. Reduce your exposure to the sun’s most intense UV radiation by seeking shade during midday hours.